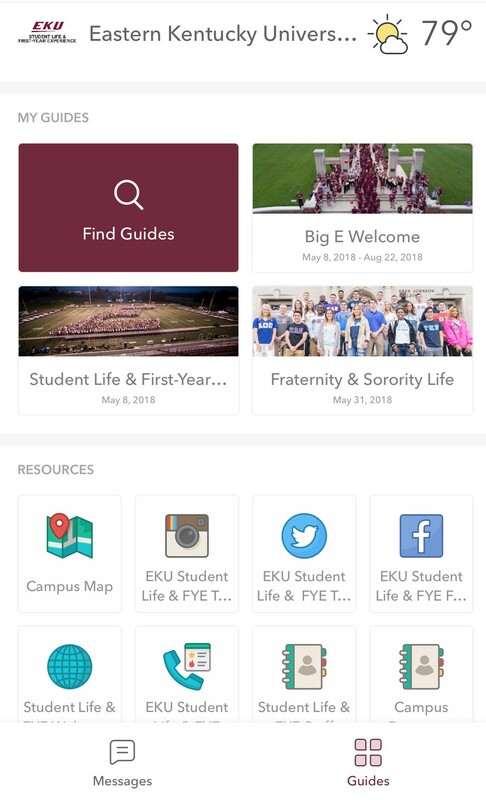 EKU Student Life & First-Year Experience is excited to announce the launch of the EKU Life App! This guide is the main way to stay up-to-date on campus activities, volunteer opportunities, and all things Student Life & FYE. In addition to finding all of our great events, you can use this app to get connected to campus resources, find your way around, share photos, and keep track of your personal calendars. Download the app at the following links, and make the most of your time at EKU! #GoBigE! If you have any questions, please don't hesitate to contact Student Life & First-Year Experience at studentlife@eku.edu or (859) 622-3855.